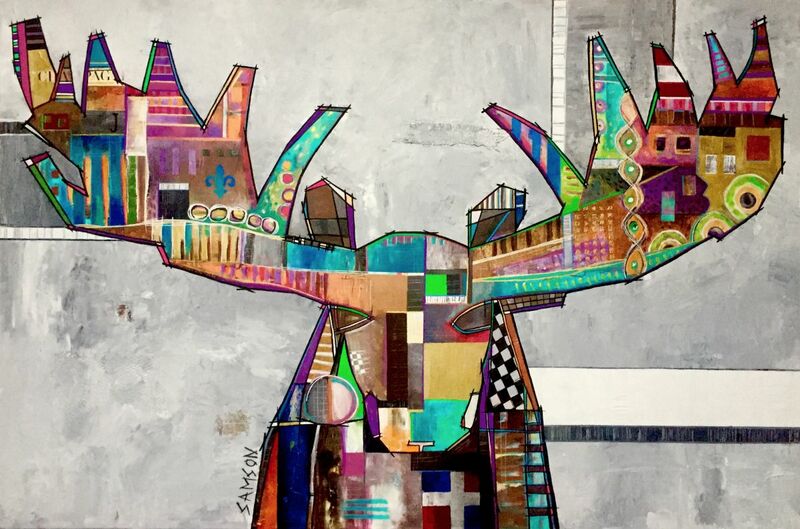 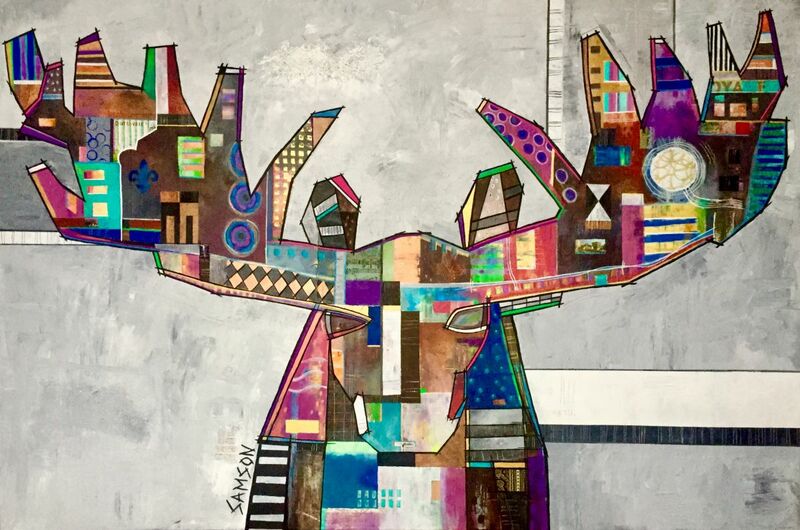 Moose Painting on Canvas by Canadian Artist, Marc Samson. Here are a few of the moose art pieces from the quebec animal artist, Marc Samson. 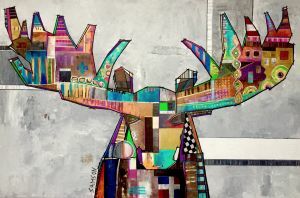 His contemporary and angular style stands out with many types of textures and techniques that he uses to create a multitude of effects. 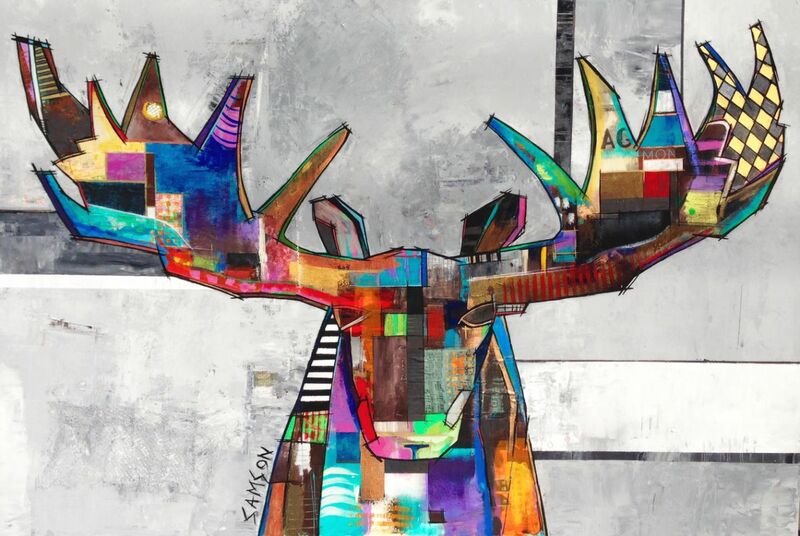 Moreover, the spontaneous palette and brush strokes lead to a complex stratification of many layers of paint. 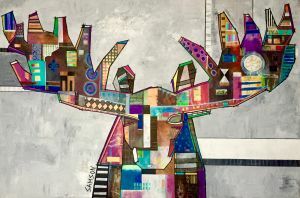 Like most of his muses, you can commission your own personalized moose with the choice of your dimensions, preferred colours and unique individualization.